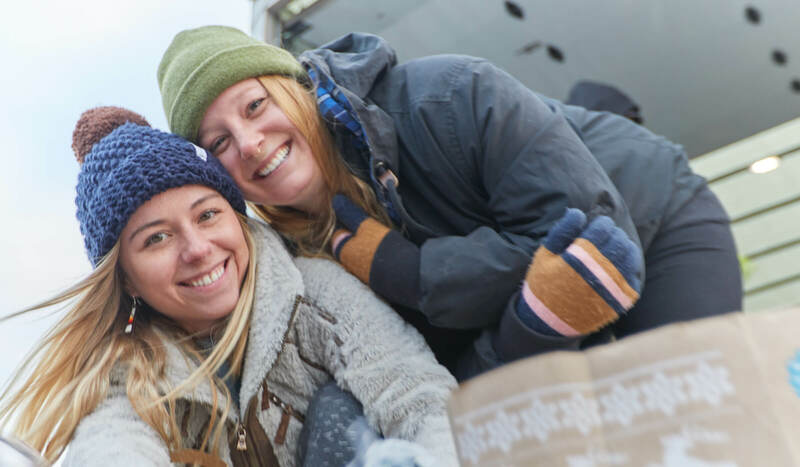 At a time of year when we all tend to think of others a little more often, Justin’s team members are continuing a nine-year partnership with Conscious Alliance to help bring food and friendship to their part of the country. 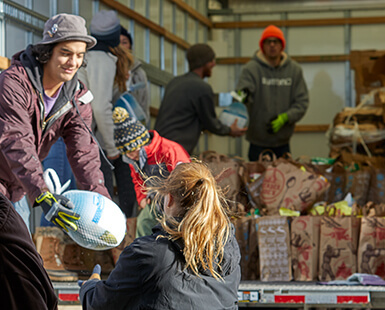 After loading vans with food and supplies, members of Justin’s and Conscious Alliance, a Boulder, Colorado-based nonprofit organization “committed to supporting communities in crisis through hunger relief and youth empowerment,” left Colorado Nov. 16 for Pine Ridge, South Dakota. 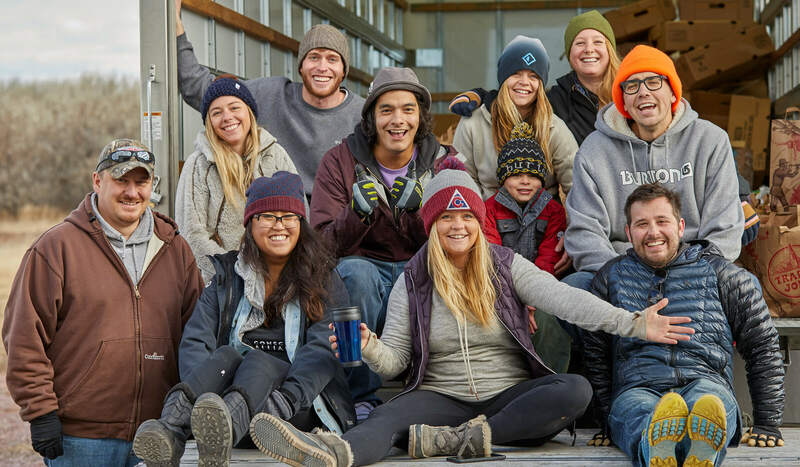 Justin’s team members have been doing at least one road trip a year with Conscious Alliance since 2008. Justin Gold wouldn’t have it any other way. The founder of Justin’s is as passionate about giving back as he is about his popular line of products. Hunger, in particular, is something that motivates him to do more. 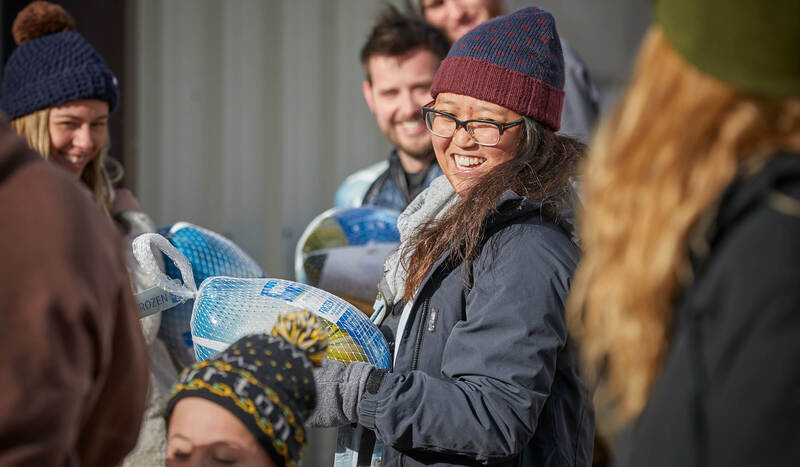 “All of us at Justin’s believe we’re very fortunate to have meaningful work that gives us a way to care for our families and friends. But it doesn’t stop there for us. We want others to know the same security. That, and the fact that we truly love getting away from our desks to meet our neighbors and lend a hand. The sharing goes both ways,” he says. The Justin’s team in Pine Ridge, S.D. 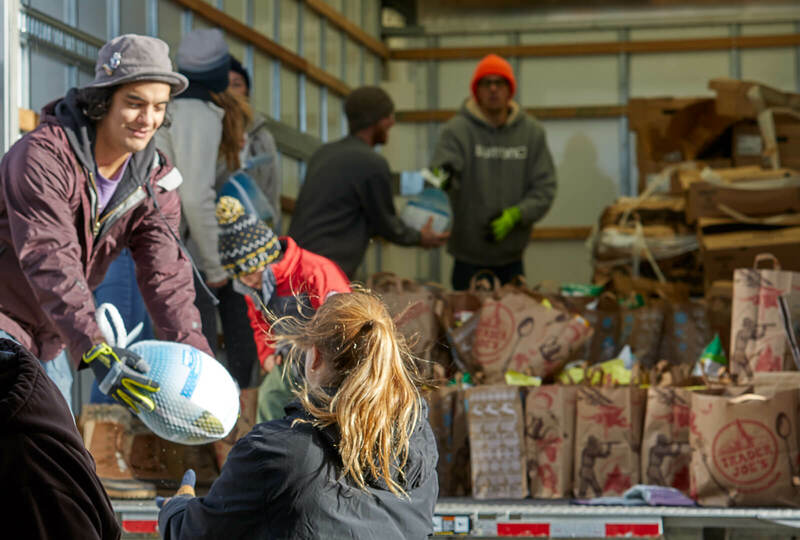 The sharing this time took the form of 600 holiday meal bags – turkeys plus sides – that were assembled and delivered to members of the Oglala Lakota Nation who live on the reservation. Though it has the same land mass as the state of Connecticut, Justin Levy points out that there is only one full-service grocery store to serve the needs of the natives there. In addition, it is fraught with other problems. 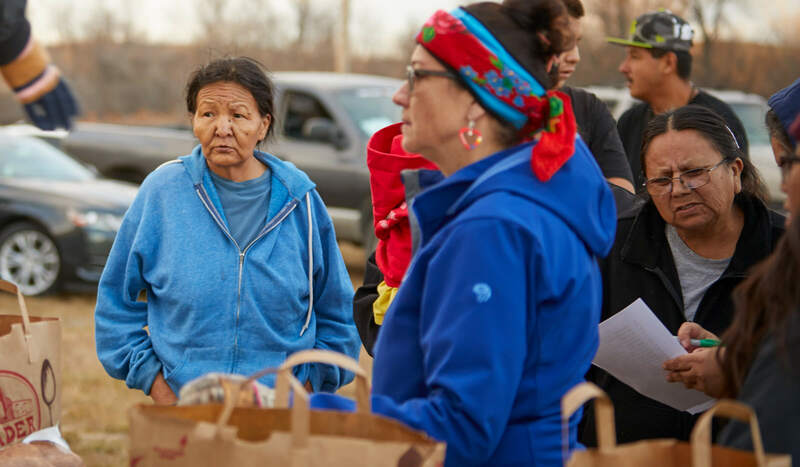 Abject poverty, food disparity and a teenage suicide rate that is significantly above the national average are just some of the heartbreaking issues facing the community of Pine Ridge. But on that weekend, it was all about focusing on making a difference. In addition to holiday meal bags, Justin’s and Conscious Alliance dropped off a variety of healthy products for the backpack program at Loneman (Isna Wica Owayawa) School. 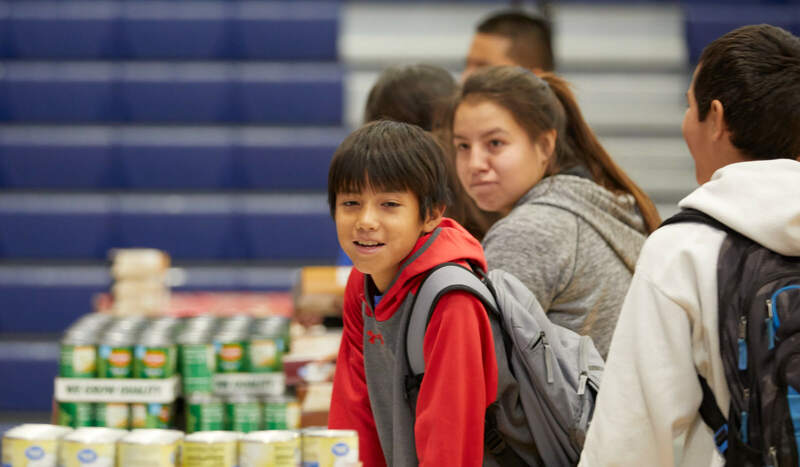 The first all-natural snack initiative for school kids in the United States, the backpack program has resulted in fewer absences from school and less visits to the school nurse. All of the activities were carefully timed to coincide with parent-teacher conferences at the school to encourage a good turnout. 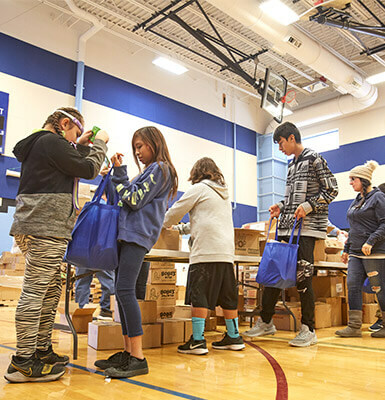 The tradition of distributing the holiday food baskets at the school has tended to boost attendance at the conferences, strengthening the home-school connection. The trip also included a stop at the reservation’s food bank, which serves more than 200 people per week. 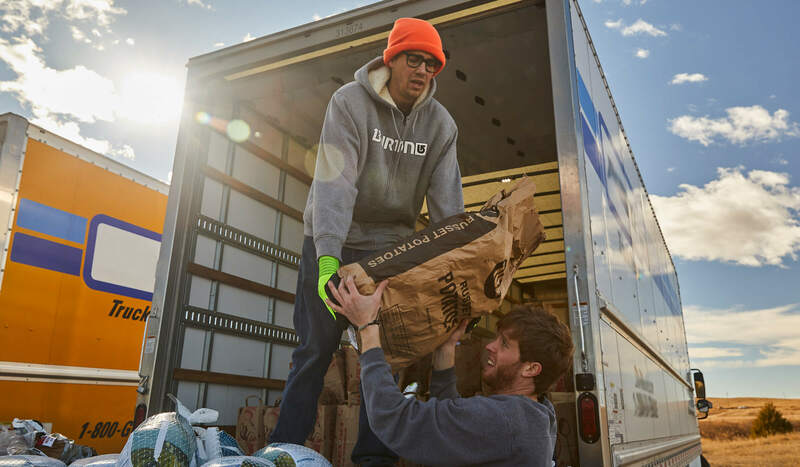 It is stocked by food drives and by brand partners such as Justin’s and Convoy of Hope, another nonprofit partner of Hormel Foods. After two days of work, friendship and sharing, the team headed back to Boulder. Suffice it to say, there was gratitude all the way around, especially from Justin Levy. “Justin’s has honestly been the best brand partner we could hope for,” he says. Whether you’re an individual or company, it’s easy and gratifying to support the work of Conscious Alliance.